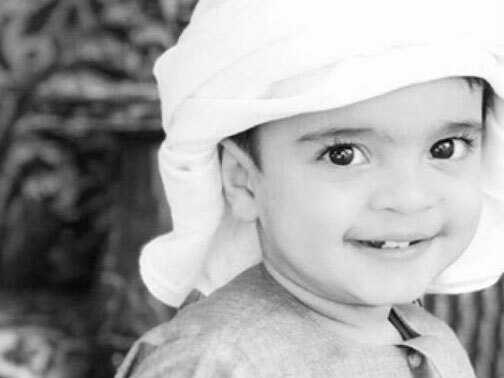 Dubai: Condolences have been pouring in to the family of Saif Sultan Al Hassani, an Emirati child from Fujairah, who drowned in a tragic accident last Wednesday. One and a half-year-old Saif was with his family on a one-week trip to Kuwait City, when he drowned at the hotel swimming pool. “May Allah grant his parents with patience and join them together in heaven, where they will be eternally rewarded,” said @60_xkxk, on Twitter. “May Allah have mercy on his soul, and God willing, he will fly like a bird through paradise,” said @MKM_3737. Funeral prayers were held on Friday at 7am at the cemetery of Dhadna village in Fujairah. “Allah have mercy on the child Saif Sultan Abdullah Al Hassani, and bestow paradise upon him. May Allah give his parents strength and heal their broken hearts,” said @hmdtwi. The accident happened at 12.30pm, when the family were planning to leave the hotel. Sultan Abdullah Al Hassani was unable to find his young son and started to search around the reception area. To his horror, he found that the door to the public swimming pool had been opened. It was then that Al Hassani found the body of his little boy. According to Arabic media reports, hotel staff guided the family to the nearest clinic, which was about 20 minutes away. However, medical staff were unable to resuscitate the child.